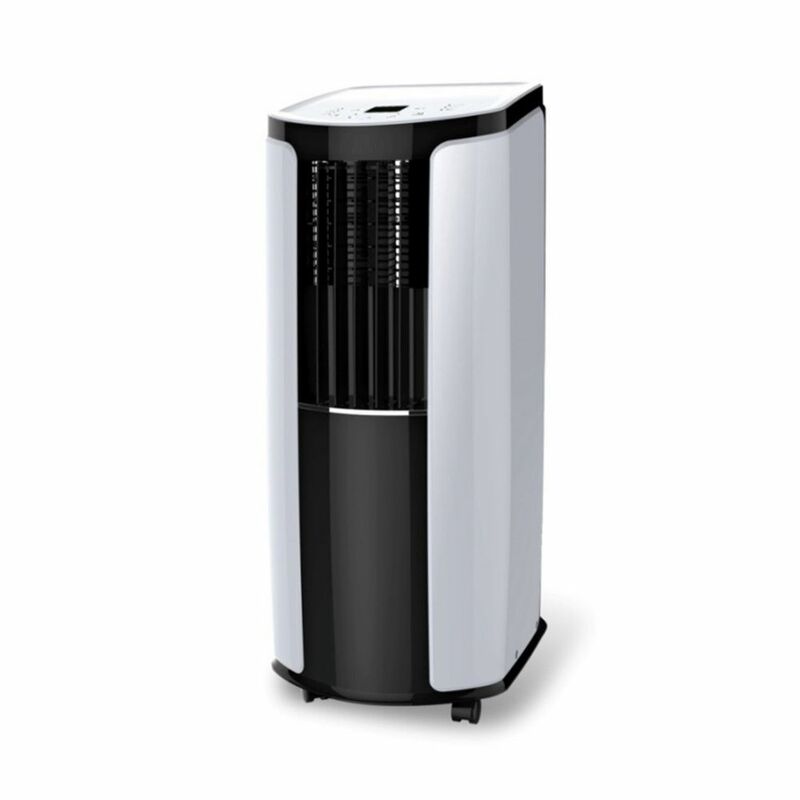 Tosot 13500 BTU Portable Air Conditioner with Heater can keep your home cool, warm and dry with 13,500 BTU air conditioner, 10,700 BTU heater and dehumidifier. The 13,500 BTUs of cooling power keep a room up to 550 sq. ft. cool and comfortable and the 3-speed cooling, heating and fan and 4-way air direction help spread the air evenly throughout the room. The WiFi is an ideal device to control and monitor your home climate with your smartphone or through any other IFTTT platform connected appliances. Digital controls offer precise temperature adjustments, and the remote control lets you control the air conditioner from across the room. The programmable thermostat let you adjust the level of cool or heat for comfort during summer or winter. The dehumidifier can remove moisture from the air to reduce stickiness. Best of all, features like a 24 hour timer, sleep mode and auto mode save energy for efficient and affordable operation. Energy efficiency is combined with economical cooling in our compact room air units featuring environmentally friendly R410A refrigerant. Decorator grills come in a neutral stone white finish to blend with any decor, while lightweight cabinets are durable galvanized steel. 14000 BTU Portable Air Conditioner with Heater + WiFi Control Tosot 13500 BTU Portable Air Conditioner with Heater can keep your home cool, warm and dry with 13,500 BTU air conditioner, 10,700 BTU heater and dehumidifier. The 13,500 BTUs of cooling power keep a room up to 550 sq. ft. cool and comfortable and the 3-speed cooling, heating and fan and 4-way air direction help spread the air evenly throughout the room. The WiFi is an ideal device to control and monitor your home climate with your smartphone or through any other IFTTT platform connected appliances. Digital controls offer precise temperature adjustments, and the remote control lets you control the air conditioner from across the room. The programmable thermostat let you adjust the level of cool or heat for comfort during summer or winter. The dehumidifier can remove moisture from the air to reduce stickiness. Best of all, features like a 24 hour timer, sleep mode and auto mode save energy for efficient and affordable operation.